The Iridium system is changing the way the world communicates as the first truly global, personal, satellite-based telecommunications system providing communications via hand-held wireless telephones and pagers. It will revolutionize communications for business professionals, travelers, residents of rural or undeveloped areas, disaster relief teams, and others who need the features and convenience of a wireless hand-held telephone with a single worldwide number. Subscribers will use hand-held Iridium telephones transmitting through digital facilities to communicate with any other telephone in the world. Explore the new world of Iridium and find how to change your way to communicate! The Iridium system is based on a network of 66 satellites. The satellite constellation is distributed on 6 near polar planes and each plane carries 11 operational satellites, as well as one spare satellite. Each satellite weighs approximately 689 kilograms (1,500 pounds) and orbits at an altitude of 780 kilometers (420 nautical miles) above the surface of the Earth traveling around the planet once every 100 minutes. Unlike geostationary communications satellites which are located 36,000 kilometers above the Earth, the IRIDIUM satellites' low Earth orbit makes it possible to communicate directly with a hand-held telephone, in the meantime avoiding the typical delay of geostationary satellite transmissions. The satellite is linked to callers by a main mission antenna that offers 16 decibels of link margin, a signal that is strong enough to deliver high quality communications to a hand-held telephone. When an Iridium telephone is activated, the nearest satellite - in conjunction with the Iridium network - automatically determines account validity and the location of the user. The subscriber selects among cellular or satellite transmission alternatives, depending on compatibility and system availability, to dispatch a call. If the subscriber's local cellular system is unavailable, the telephone communicates directly with a satellite overhead. The call then is transferred from satellite to satellite through the network to its destination, either to another Iridium telephone or to an Iridium ground station. Iridium system gateways interconnect the satellite network with land-based fixed or wireless infrastructures. Quality communications is ensured by the Iridium system's space segment, which includes a constellation of 66 satellites located 780 kilometres (420 nautical miles) above the Earth's surface. Compared to geostationary communications satellites located 35,900 kilometres (22,300 nautical miles) above the Earth, the low earth orbit of Iridium satellites allows more tightly focused beams to be projected on the ground, providing transmissions that are clear and strong. The system is structured like an atom with the Earth as a nucleus and the satellites as electrons. The receiving antenna is small enough to fit on a hand-held telephone. The small, lightweight Iridium satellites are electronically interconnected to provide continuous worldwide coverage. Communications are relayed via satellite and through terrestrial gateways, where billing information and user location data will be stored. Intersatellite and ground control links take place in the Ka-band frequencies. Telephone and messaging communications take place in the L-band frequencies. 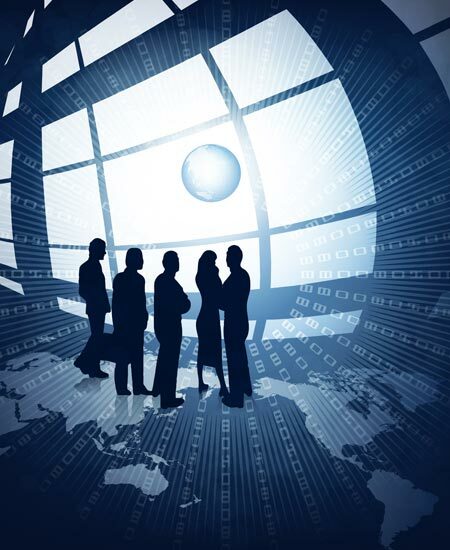 Services within various countries are provided through telecommunications authorities and local service providers. 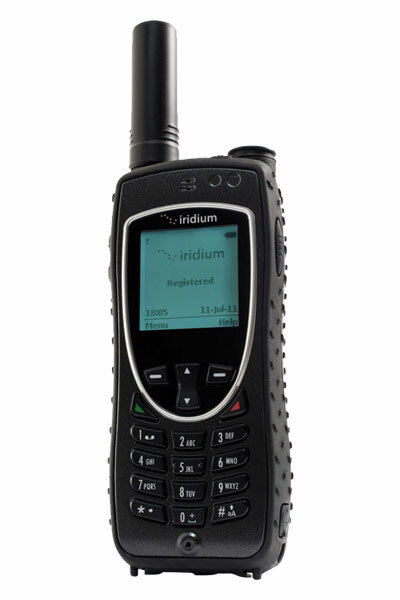 Iridium hand-held telephones are capable of delivering high-quality voice, facsimile, and data services anywhere on Earth. Iridium single-mode handsets are designed to provide satellite communications around the world through the Iridium constellation. The satellite-based Iridium system tracks the location of the telephone, and provides global transmission, even if the subscriber's location is unknown. Iridium handsets are similar in design, weight, battery lifetime and dimensions to popular hand-held phones. In dual-mode they're also GSM cellular phones, and can operate in every place where GSM networks are available. Their digital technology allows for maximum clarity and signal quality. 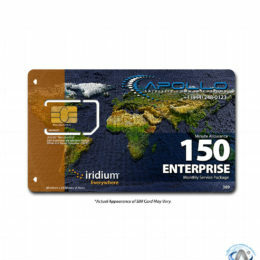 A SIM (subscriber identity module) card provides basic IRIDIUM system access, personalized features, and enhanced security. The SIM card prevents the phone from being used without a valid card and proper PIN (personal identification number). Thanks to a standard RS232 or USB interface port built into each IRIDIUM handset, data and facsimile transmissions are also possible. 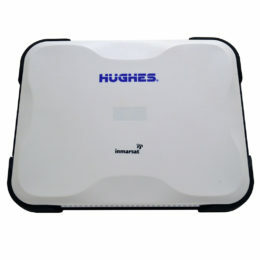 The Iridium pager offers the first true "global roaming" capability in a small, belt-worn, personal message receiver. The Iridium pager provides messaging capability to users in areas with incompatible terrestrial paging systems or no terrestrial paging coverage. In addition to storing both alphanumeric and numeric messages of up to 80 characters, the Iridium pager features a large alphanumeric display, international character sets for worldwide applicability, sophisticated user features and approximately one-month battery life with an AA alkaline battery. Mobile telephone units provide in-vehicle access to Iridium services. This units will be useful for automobile travelers who need to travel from country to country without losing connection to the world. With most Iridium Docking Stations for vehicles your satellite phone cradle can be installed in a vehicle or even a boat dashboard for easy access to the phone. Electric power is supplied with the vehicle's battery or the boat's distribution panel. An external antenna is connected to the antenna port on the cradle to provide satellite coverage inside the vehicle or boat. Where compatible terrestrial cellular service exists the Iridium system can use the local network. Otherwise it uses the satellite network giving you access to global communications in every place of the world. The RST-100 as well as other RST units provide remote locations with telecommunications access via the Iridium satellite system ensuring truly global coverage. Suitable for both maritime and land applications, the RST also offers several interfaces for both voice and data. Basically, the RST-100 (and other RST units) emulate the functionality of the Public Telephone service. It provides sockets for the user to connect a conventional handset, answering machine or PC, a socket for the connection of a plug-pack type mains power supply and a connection to an external antenna. You can use units like these for something like an office whether it is on a ship or in a building and stay connected with your personnel in the field with their satellite phones. In addition there are two serial interfaces for PC connections and bi-directional SMS (subject to network support). Gateways make communications possible between IRIDIUM telephones and any other telephone in the world. Interconnection to the existing wired and wireless networks, domestic and international, public and private, is performed through ground-based IRIDIUM gateways which are located in key regions of the world. These stations consist of equipment to communicate with the satellite constellation and with the international switching centers of the domestic fixed network. Their functions include registering of IRIDIUM subscribers and providing access to existing ground-based telephone networks, so achieving the connectivity of the telecommunications networks worldwide. Gateways are owned, operated and financed by one or more Iridium investors or their affiliates. Eleven gateways are scheduled to be in operation at the commencement of commercial service. IRIDIUM Italia and IRIDIUM Communication Germany manage the European gateway which is installed at Telespazio's Space Centre in the province of L'Aquila, approximately 130 km from Rome. The Fucino station - the largest civilian telecommunications centre in the world - was chosen for its geographic position, optimum for serving the European continent and outlying regions. The Fucino station is also to be home to a GBS (Gateway Business System) centre, an information centre for the processing and administration of the service's data (contacts, consumption, bills). At the heart of the IRIDIUM gateway is a Siemens EWSD-based D900 switch. Based on the GSM (Global System for Mobile Communications) cellular standard, the D900 switch ensures a high quality integration of IRIDIUM services with land-based telecommunication systems.